"scoring dance – from the dance archive". Druženje z umetniki: Rhiannon Newton in Matthew Day (Avstralija). Matthew Day (Australia) works as a Choreographer, Dancer and Dramaturg across various artistic mediums and cultural contexts. Matthew is invested in conceptual choreographic practices that are intensely physical and push the boundaries of dance and performance. Matthew has had residencies at Critical Path, Lucy Guerin Inc., Chunky Move, Legs on the Wall, Campbelltown Arts Centre and the Bundanon Trust, where he worked with Deborah Hay on her Solo Commissioning Project. Matthew is currently engaged on a number of upcoming projects with the infamous Phillip Adams Balletlab. Matthew’s minimalist and durational solo works Thousands, Cannibal andIntermission constitutes his acclaimed TRILOGY project, each exploring the body as a site of continual becoming and infinite potential. Rhiannon Newton (Australia) practice is grounded in rigorous choreographic investigation, improvisation, and deep physical research and training. She works to dislocate the body from identity and foreground action - space relations. Rhiannon has created choreographies for the Unkempt Dance Collective, The West Australian Academy of Performing Arts and the Asia Pacific World Dance Alliance Festival. Rhiannon is currently developing “Bodied Assemblies / Assemblies for One Body” through the support of Movement Research (New York), The Australia Council for the Arts, The Centre for Interdisciplinary Arts (Perth), Strut Dance and Critical Path (Sydney). Since 2011 Rhiannon has sustained an interdisciplinary research practice with visual artist Benjamin Forster. Matthew Day in Rihannon Newton sta del partnerskega projekta, v katerem sodelujejo: Mala Kline [Slo], Petra Zanki [Hr], Matthew Day in Rhiannona Newton [Aus] in festivali: Under the Radar/Brisbane festival [Avstralija], Perforacije [Hrvaška] in Nagib [Slovenija]. Exchange was created to provide opportunities for artists in the two geographical locations to engage, explore and experiment with their artistic practice and their culture. The relationship was forged between Britt Guy (Australian Independent Producer and Curator), NagiB Contemporary Dance Festival’s Petra Hazabent (Slovenian Festival Director) and Perforacije Festival’s Zvonimir Dobrovic (Croatian Festival Director) due to a number of identified needs for independent artists. In 2012, three artists from Slovenian came to Brisbane, Australia and worked with five local dancers to recreate their work for Brisbane Festival’s Under the Radar program. In 2013, four solo dance makers have been selected to participate in a transitory residency, which will see them travel through out the three partner countries participating, engaging and creating alongside the partner programs. The residency will begin in Maribor, Slovenia at NagiB Contemporary Dance Festival to with artists participating in workshops and to attend performances. 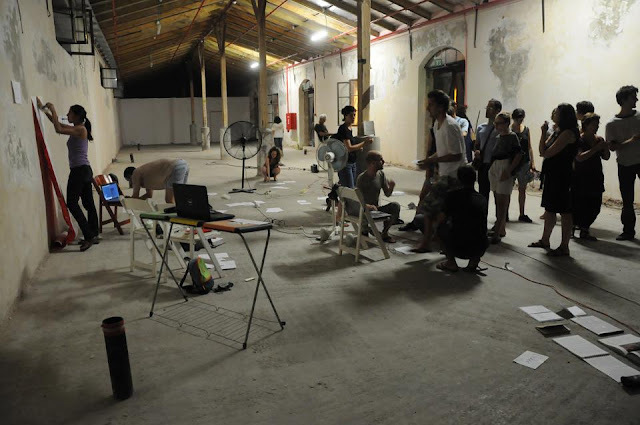 They will then travel to Croatia travelling between Zagreb, Rijeka, Split and Dubrovnik over a two-week period as part of the artist in residency program. The artists will then fly directly to Melbourne for four days of workshops, meetings and artists talks; they will then come to their final stop in Brisbane undertaking a research lab program where they will spend their final two weeks engaging in masterclasses, open public workshops presented by the cohort of artists and final research leading to their outcome showing. There will also be opportunities for Melbourne and Brisbane artists to participate in Q and A sessions, artists talks and workshops with the four exchange artists. The Australian and Eastern European Artist Exchange exists to provide opportunities for artistic and cultural dialogue, engagement and participation. At the heart of this project is a deep commitment to conversation and discovery something that is important for our Australian artists development. The project is supported by Australia Council for the Arts, The Judith Wright Centre, Ausdance Qld, and Brisbane Powerhouse. The partnership is an ongoing relationship with a commitment by all presenters till the end of 2015 with a desire to build the number of artists involved each year.